There is no secret that spring is right around the corner! I’ve been freshening up the house in small ways and one of my favourite places to shop is IKEA Canada. My kitchen is next on the list as it is one of my favourite places in my house. 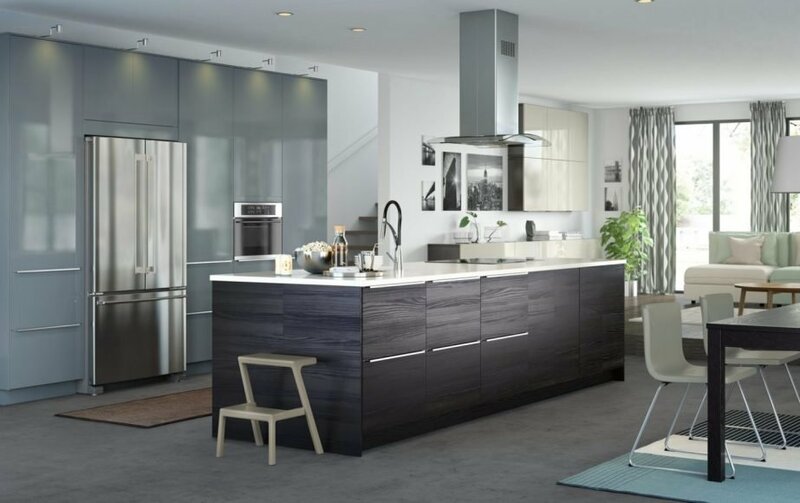 There is no better way to get inspired than with these top 6 stylish kitchen trends from my friends at Ikea Canada! We rent an old 1930’s wartime house that has a late add-on. The extended the kitchen without considering functionality. There is not much by way of storage space so finding pieces that fit in our existing kitchen and that offer organization is key for us! Ikea has always been that place for us with great prices and stylish solutions! Families are using spring break as the time to get things done around the house. Perhaps, with spring in the air, you’ve already begun thinking about refreshing and revamping your space. With renovations in mind, the Kitchen area is truly the heart of the home in every living space. Whether you are using this space for cooking, eating, entertaining or celebrating the space naturally brings people together. Welcome to the 2018 IKEA Kitchen Trends story. This year’s kitchen trends page is inspired by IKEA’s Scandinavian roots and popular interior design trends. We’ve also spotlighted different living situations and organization to showcase how extensively versatile the kitchen product range can be. 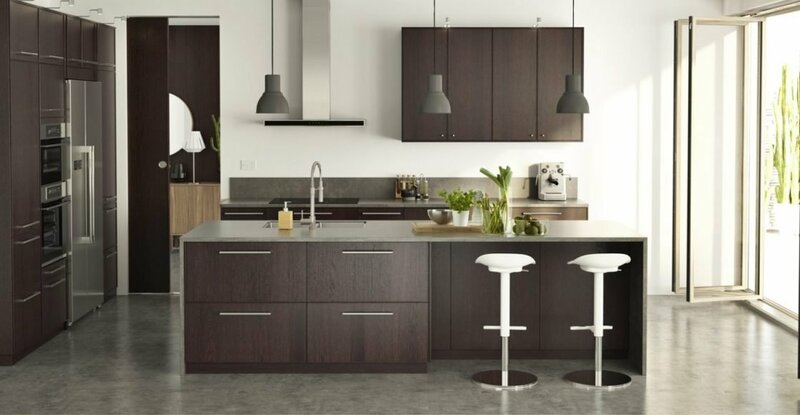 With spring right around the corner, it’s the perfect time to think about kitchen renovations and refreshing the home. 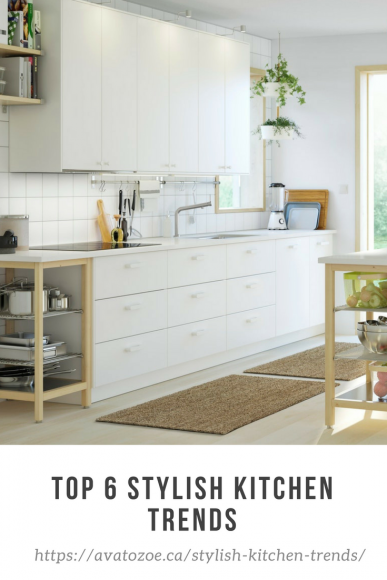 The kitchen is the heart of the home, whether it comes to cooking, eating or entertaining I wanted to share some of my favorite’s looks at IKEA. This March at IKEA, you’ll find all the inspiration you need when it comes to your dream Kitchen. 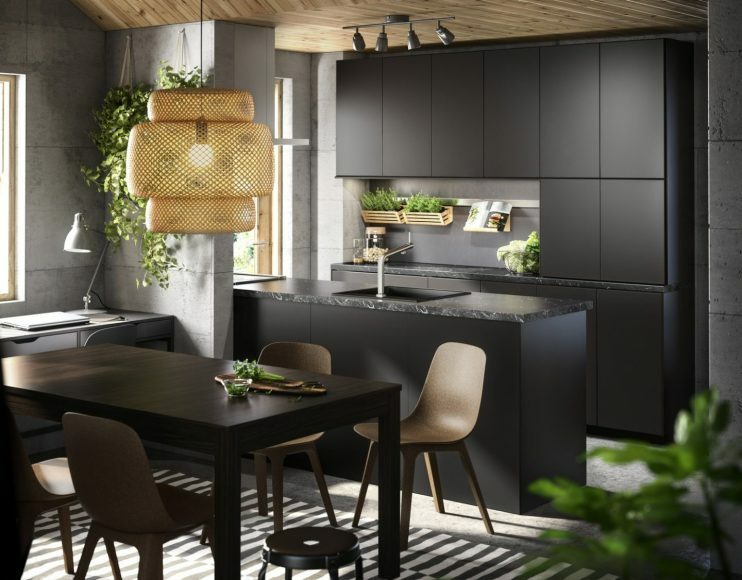 2018 highlights design trends including the evergreen Monochromatic kitchen, to fun Mix and Match Cabinetry and finally, it wouldn’t be IKEA without highlighting the Scandinavian Modern design trend. Here are 6 kitchen trends for 2018 as told by our friends IKEA! Evergreen and timeless – the monochromatic kitchen is all about high contrasting black and white cabinetry complimented with stainless steel appliances. Create a harmonious monochromatic theme by using a variety of shades, patterns or textures thus making the room come together and flow cohesively. Contemporary and chic, two-tone cabinets can create unique life into a more traditionally-styled kitchen. Customize your dream kitchen using bright bold cabinetry, stainless steel and accent counter-tops to achieve the perfect mix and matched kitchen. 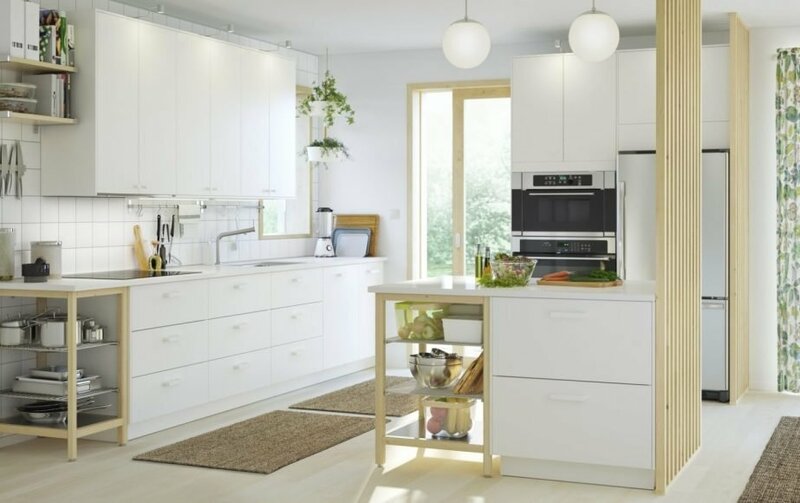 Inspired by simplicity, efficiency and a sense of cheerful elegance the Scandinavian modern kitchen offers textural beauty and is perfect for families or the minimalist. 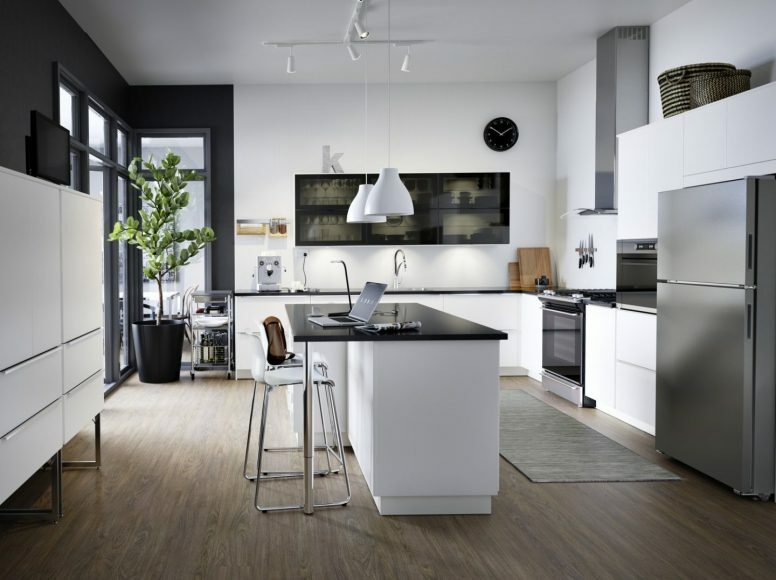 What gives this kitchen a modern feel is its simple yet neutral color palette and clean cut lines making the home look sophisticated yet stylish. Perfect for casual family living or easy entertaining – the open concept kitchen plan is a stylish space that encourages collaboration and a sense of togetherness. Small space kitchens provide a cozy and compact working environment. Add an extra element of glamour in this space with bold accent lighting or greenery. 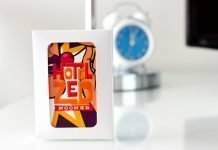 Interested in a more eco-friendly solution? IKEA’s KUNGSBACKA door front is made from recycled wood and covered with plastic foil made from PET bottles. An essential part of any kitchen big or small is how space is organized. At IKEA, solutions are endless with products ranging from utensil organizers, kitchen carts, and drawer dividers. 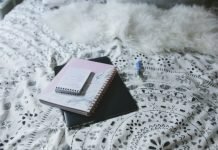 They’ve rounded up some our favorite solutions to get you clutter free and focus on what matters most: eating. 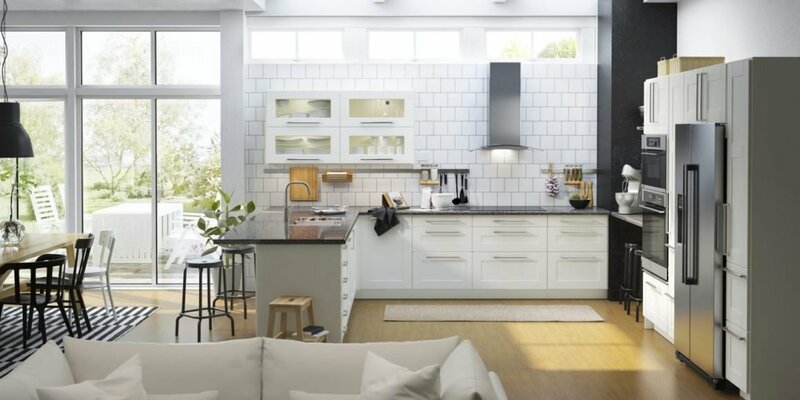 IKEA knows style hence why we wanted to share the Top 2018 Kitchen Trends with you! Whether it’s your kitchen, kids playroom or your bedroom, Ikea has so many amazing and affordable solutions to help you out! Be sure to head to your nearest IKEA or even order online! Did we mention that from now til April 16th you get 20% back in Ikea gift cards on kitchen purchases! Some conditions may apply… head over to the IKEA website to learn more! Ps… this is not sponsored! 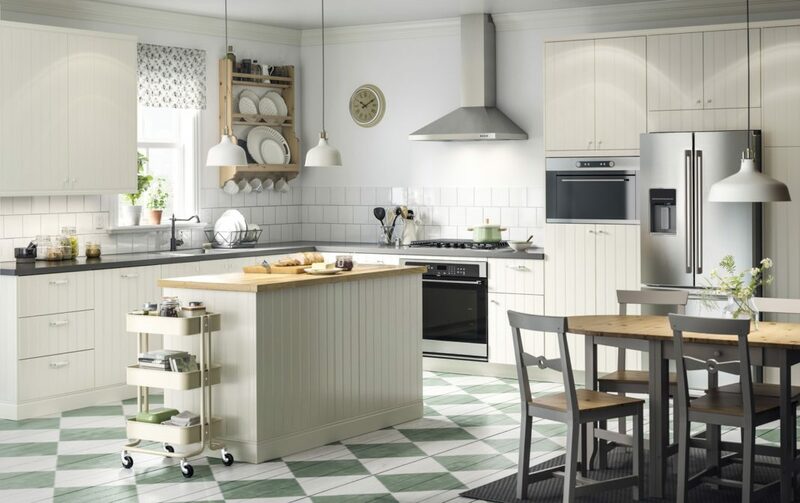 We just love a good kitchen and our friends at IKEA! Happy Shopping! All Images provided by IKEA for use in this post! Renovating? Pin It For Later! Love these ideas, especially the mix and match cabinets, I’ve been wanting to do that in our house for a while! I could totally see the mix and match cabinets in your kitchen! It’d look soo good! I love IKEA! I did my kitchen in white gloss, and just love it, so much storage and you build how you like. The kitchen is definitely my favourite place too . I love doing renovations or redecorating the kitchen . IKEA has the best stuff for sure .